Resources Webinar - "Get familiar with the new LMS365 integration for Microsoft Teams"
With Teams, Microsoft has introduced their newest chat-based collaboration tool that fits perfectly into the Modern Digital Workplace. The platform allows you to seamlessly integrate your most valuable tools to ensure the best hub for teamwork. In this webinar we introduce you to the new LMS365 integration for Microsoft Teams. 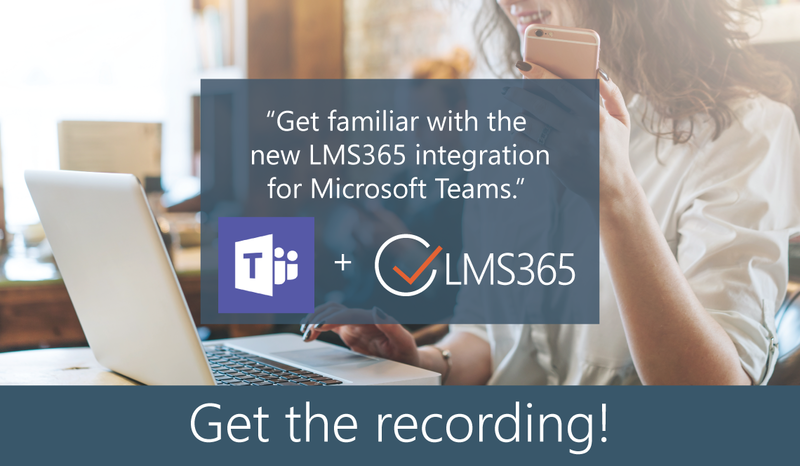 This integration provides LMS365 users with the unique ability to find, complete and track their training without ever leaving the Microsoft Teams platform!